Use your existing knowledge and our unified code API to rule them all! Vitruvius offers the most advanced avateering system out there. Period. Animating 3D models with Kinect, Orbbec, and Intel cameras used to be very hard. Using Vitruvius, you can control any humanoid 3D model using your body with only one line of code. The models will follow the movements of 1-6 people with remarkable accuracy. Vitruvius supports the FBX and OBJ file formats. The packages are bundled with high-quality rigged models plus multiple textures to choose from. You can use the models in your own commercial projects. Let’s admit it: when dealing with challenging Motion projects, you need to know a lot of Maths. Vitruvius does the Math for you. Simply measure the angle between 3 joints and draw it on a canvas with our handy Arc controls. You can also find the height of the tracked players, the length of a bone, as well as the rotation of a segment in the 3D space. Researchers would love these capabilities! Dealing with real-time measurements and motion tracking has never been easier. Vitruvius includes the best 3D video recorder available. Record and Playback the Color, Depth, Infrared, Body, Face, and Floor frames, even without a having a sensor plugged-in! Video playback works just like the live stream. You can store and analyze the Body and Face data easily, jump to the frames of your choice, and use our built-in playback interface! Bitmaps are a great way to provide your users with useful feedback. The official middleware gives you the frame data in the form of raw bytes. Vitruvius gives you the corresponding Unity Texture2D objects! Color frames, Depth frames, Infrared frames, and even Green-Screen frames are supported. Need to capture a bitmap and save it as a JPEG or PNG file? You can do it with Vitruvius, too. The depth cameras see the world in 3D, but developers visualize the results on 2D monitors. Vitruvius lets you map the real-world coordinates to screen coordinates using two lines of code! Need to convert a point in space to a point in screen? We’ve got you covered. Convert between Vector3D and Vector2D accurately and effortlessly. Our demos include handy controls for displaying the joint points and the human skeleton on top of a Color or Depth frame. Most depth sensors have no face tracking capabilities. Vitruvius is processing the color and depth frame data and exposes an easy-to-use API for accessing facial points in the 3D and 2D space. Using our brand-new Face detector, you can get the position of more than 68 points in real-time and identify the most important facial features. Everything is exposed as ordinary C# properties. Simply acquire the coordinates of the eyes, brows, nose, mouth, chin, and jaw and create your own next-gen face apps! They have developed amazing stuff. Now, it's your turn! Select the plan that fits your needs. Individual? Business? Student? We've got you covered. Download the public version we are hosting on GitHub, currently used by numerous companies and universities worldwide. Try it for free and see why Vitruvius is the most popular Kinect framework out there! Update in one of our paid versions when you need more features. The Academic plan is ideal for students and researchers. Provides the complete power of Vitruvius, including avateering and Unity support. You can use this plan for academic projects, thesis, or R&D. To publish your apps commercially, you’ll need the Premium or Platinum package. Running a small business or publishing Kinect apps commercially? Then, the Premium plan is for you. The Premium plan includes, well, everything: WPF, Windows Store, and Unity support, plus free lifetime updates. Need support for a project? You can contact us via email or use Stack Overflow. The Platinum package targets big companies and corporations. You get all of the available features, plus free updates, plus one hour consulting with Vangos Pterneas, Microsoft Kinect MVP. Our first-class support team will be there for you within 24 hours, via phone, email or Skype. 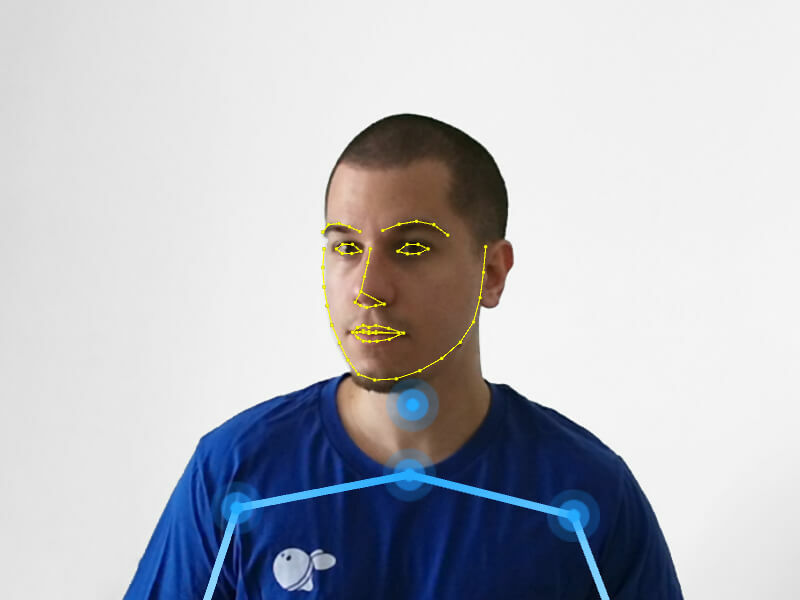 Vitruvius supports the official Microsoft Kinect SDK, as well as the Nuitrack body-tracking SDK. In case you are using Nuitrack commercially, a Nuitrack license is required. Every paid version of Vitruvius comes with a 15-day money-back guarantee. Why? Because we want you to be happy with your purchase. If Vitruvius is not a right fit for you, we’ll give you your money back. It’s that simple. Hey! I’m Vangos Pterneas, Microsoft Kinect Most Valuable Professional. Most of you know me of my Kinect tutorials, videos and guides. I have been building commerical Kinect apps since 2012. In 2014, Microsoft awarded me with the MVP title for my technical contributions to the open-source community. Vitruvius was made to help other developers build Kinect apps quickly and easily. 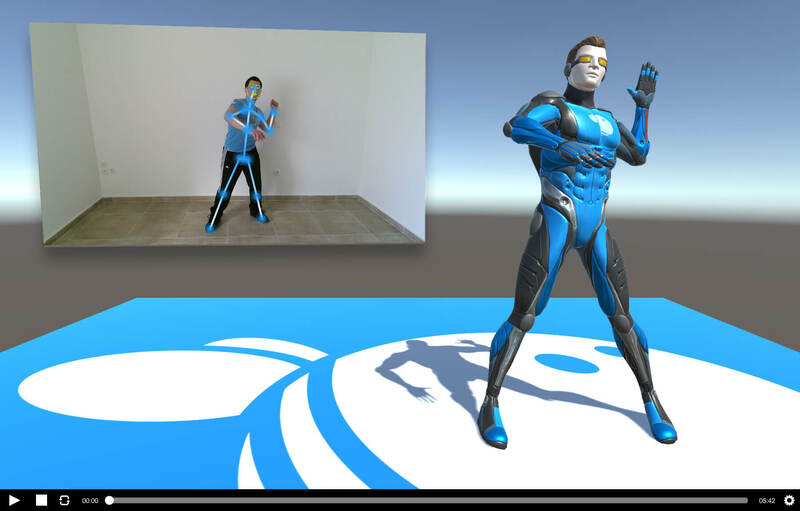 It was created and maintained by LightBuzz, a team of engineers with significant experience in Kinect, 3D Graphics, and Computer Vision. You can read more about us.